Every Wusthof knife is crafted in Solingen, Germany; a family-owned and managed company with a rich heritage since 1814. 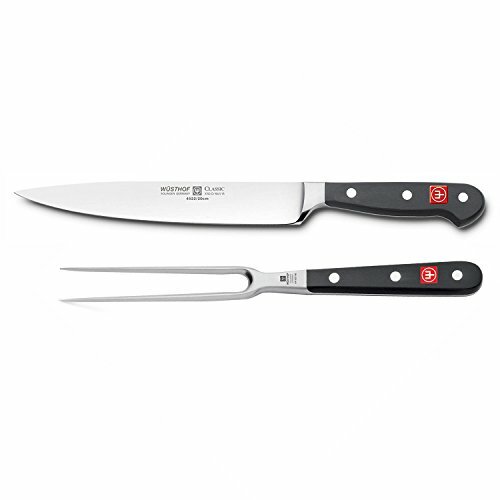 With this new set consisting of 8-inch carving knife and 7-inch straight meat fork allowing for seamless effortless cutting. The 8" carving knife allows it to cleanly cut through meats. The pointed tip is designed to help guide meat away from the bone. The 7-inch straight meat fork is great for holding meat or fish while carving or serving.